This week Logitech announced its newest webcam – about frickn time. It’s about time Logi updated its line-up, and about time the world gets an affordable 4K webcam. The new BRIO packs a bunch of firsts into a single webcam – firsts for Logitech and firsts for the industry. 4K, IR, USB3, and HDR – all for about $200. Michael Graves and I discuss the new BRIO and why we think it’s a big deal. In addition to video conferencing apps such as Skype4B, WebEx, Zoom, and Vidyo, it will also be useful for streaming and recording high-end videos (unlike this video). The time seems right for a 4K webcam. Last year I was critical of people buying 4K televisions. This year I bought one. Also, 4K cameras have benefits for even lower resolution (like 1080P) applications. LAUSANNE, Switzerland & NEWARK, Calif.–(BUSINESS WIRE)–Today, Logitech (SIX:LOGN) (NASDAQ:LOGI) announced its most sophisticated webcam yet, Logitech® BRIO 4K Pro Webcam. Delivering the highest quality desktop video experience available today, BRIO is a powerhouse webcam for business and home-office users, streamers, YouTubers, vloggers, and anyone else looking for a top-of-the-line webcam. BRIO comes packed with industry firsts including Logitech RightLight™ 3 with HDR, 4K Ultra HD video quality, and 5X zoom, plus support for Windows Hello and other secure infrared-based facial recognition applications. Logitech BRIO delivers a premier video recording, streaming, broadcasting and desktop collaboration experience that allows users to take full control of their visual environment. In addition to featuring 4K and 5x zoom, support for Logitech RightLight 3 with HDR delivers great camera performance in all lighting conditions – from low light to bright sunlight, as well as challenging high-contrast or backlit conditions. BRIO users can select between 65°, 78°, and 90° field of view (FOV) to help ensure their camera is focused only on the area they want others to see. Logitech’s advanced lens technology with autofocus offers remarkable video quality with great resolution, speed, fluidity, color balance and detail. Logitech BRIO works with all popular business applications, including Skype® for Business and Cisco-compatible certifications, as well as all Logitech Collaboration Program cloud video partners such as BlueJeans, BroadSoft, Vidyo and Zoom. BRIO has already garnered accolades, having recently been named an Innovation Award Honoree in the 2017 CES Innovation Awards. The awards are notably sponsored by the Consumer Technology Association (CTA)TM, the producer of this year’s event. Products entered in the award competition are judged by a panel of judges that consists of industrial designers, independent engineers, and members of the trade media. Logitech BRIO is available today. Business customers may purchase BRIO through the Logitech Video Collaboration reseller network, on Amazon.com, or on Logitech.com at a suggested retail price of $199 in the U.S. and €239 in Europe. 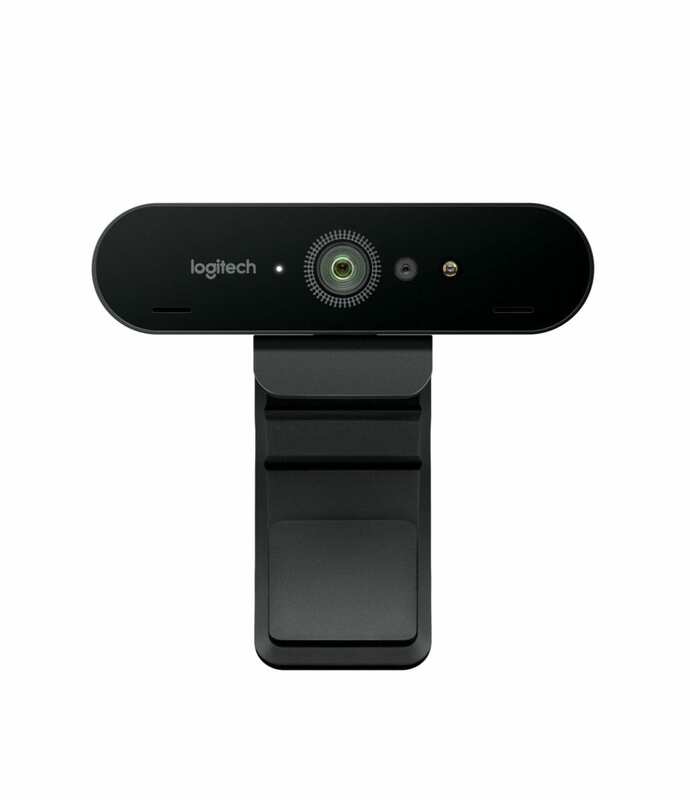 Consumers in North America may also purchase the Logitech 4K Pro Webcam at Best Buy and on Logitech.com For more information, please visit Logitech.com or our blog. Software for BRIO 4K Pro Webcam is available here.